These are uncertain times for leadership today. In voting booths, on the streets, at their desks, people demand everything and its opposite to leaders. Inspire and act. Be bold and cautious. Organize dialogue and make decisions. Build long term growth and protect existing benefits. Lead the way powerfully and let no one feel they are powerless. In a context of growing complexity on all fronts, these contradictory injunctions do not make the task of leaders any easier. Neither is the infinite variety of leadership advice. How do we get things done? Digital may offer a way forward. By virtue of unprecedented technological possibilities, but also of the transformative nature of digital, new leadership possibilities emerge. 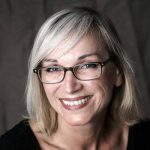 Join us at Social Now 2019 as Celine Schillinger makes the case for community engagement and digital leadership.